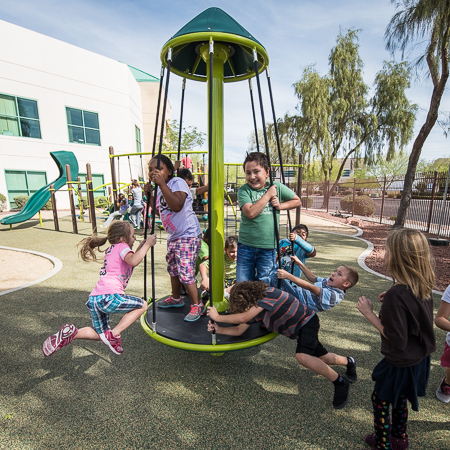 Are you designing a new playground or freshening up an existing play space? Don’t forget to include freestanding play components! Playground activities set apart from a main play structure allows kids to step away for some quiet time or break into smaller play groups. Better yet, freestanding play components can bring children of all abilities and ages into the same space for collaborative play. We have a wide variety of freestanding play events including the ZipKrooz™, TopsyTurny® and OmniSpin® spinners, Oodle® Swing, We-saw™ and a variety of playground net climbers. Even more, we have a line of nature-inspired products that can be included into your playground. Or you can create an outdoor learning environment by positioning a few pieces together. Watch below to see how B.T. Washington Elementary School in Tampa, Fla., designed their nature-inspired outdoor classroom. 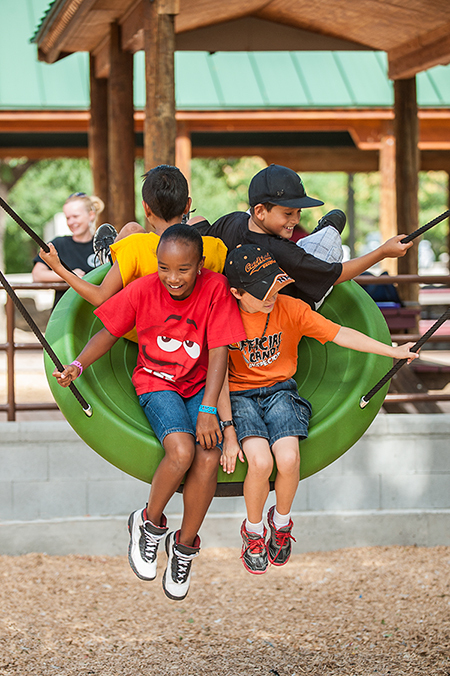 Tell us how you’ve incorporated freestanding play into your playground designs. Then visit playlsi.com to see our full offering of freestanding play components.